Sister Linda Riggers was born in Spokane, one of seven children of Lois and Arnold Riggers. Having gone to public schools until eighth grade, it was when she attended high school that Linda got to know the Sisters of the Holy Names and became interested in religious life. The primary attraction was the opportunity to be of service and to join with others having similar goals. She remembers the kindness and encouragement of the Sisters at the Academy as well as hearing laughter coming from the Sisters’ community room! Leaving everything behind to go wherever the call led seemed an attractive adventure! While the paths of service have sometimes been surprising, the call and companionship have resulted in 50 years of great adventures! 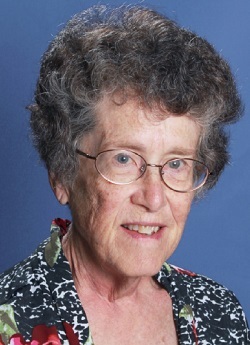 About half of those years, Linda served in Catholic elementary schools in the Northwest, Seattle, Tacoma, Spokane, Ontario (Oregon), where she has taught and was an administrator. Currently, she works in the Attendance/Registrar/Health Office at Seattle’s Holy Names Academy. For 17 years, Linda worked on SNJM leadership teams, based in Spokane for two terms and in Longueuil, Quebec, for the other. She also treasures her year of parish ministry in Oroville/Tonasket. Many summers, Linda enjoyed teaching religious vacation schools in rural towns throughout Washington. In many of her ministries, she could be spotted riding the bus — metro buses to work sites or the Greyhound across Washington, around the country. As a cellist, guitarist, and singer, music has been a way for Linda to connect with others, to support liturgies, and enrich her spirituality. The people who have influenced Linda by their example and encouragement are many! They include her parents, siblings, college teachers, students, their parents, and good friends. God’s grace has come through these encounters, and Linda hopes that, in turn, she has brought blessing to others.